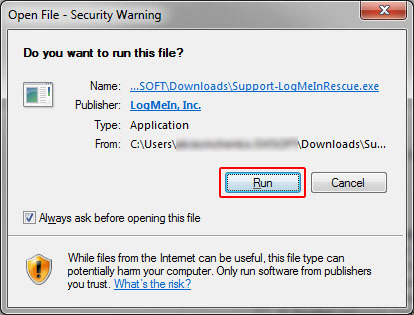 How to download, install and use LogMeIn remote control application? 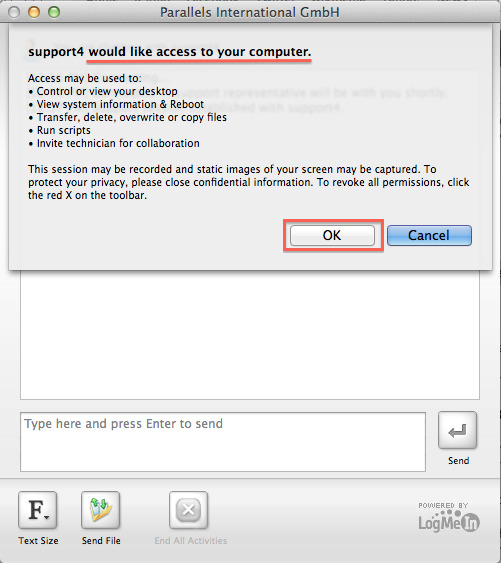 Note: There will be no software installed. 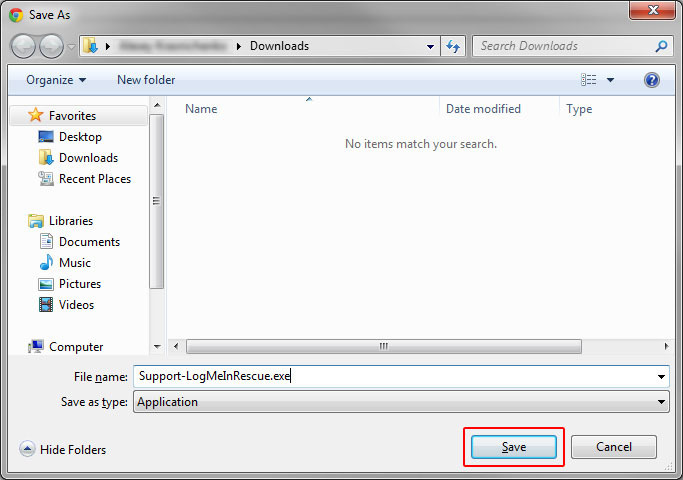 LogMeIn:Rescue client is an applet that will be unloaded from RAM after closing its window. 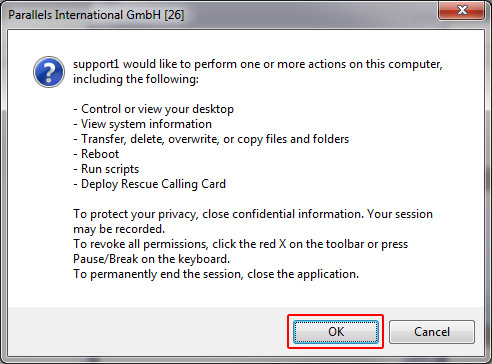 Then follow the instruction above starting from 2.1. 2.4. 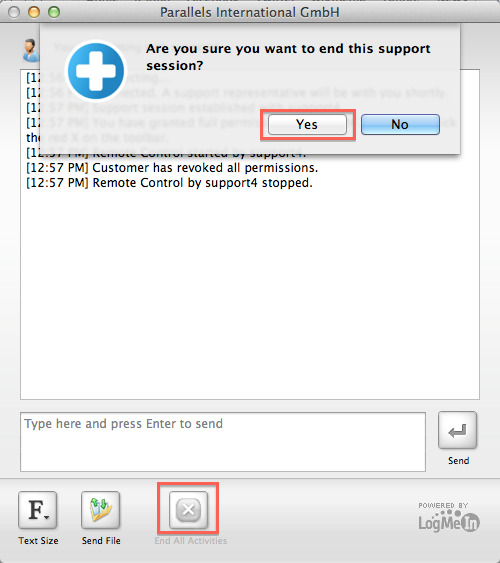 And accept the trust agreement by pressing "Run"
End the session either pressing this button or closing the applet window. 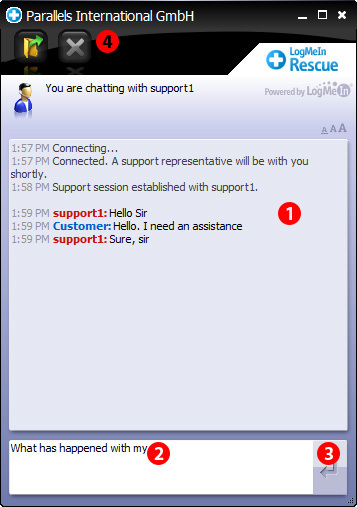 By pressing "Ok" you accept the connection request from the technician's side, pressing "Cancel" will reject an attempt of a technician to start the connection. 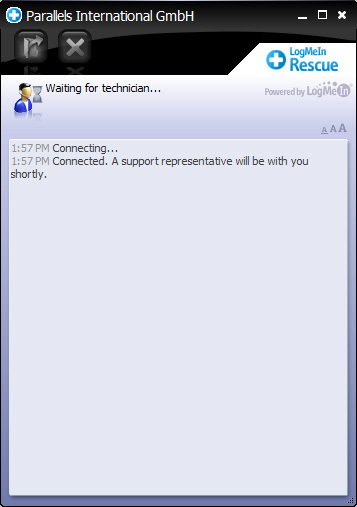 As soon as technician finished their work on your server, they will end the connection or you can close it by yourself.